Integrating Canterbury’s cutting-edge fabric technologies, the polyester TZ tactel Cuffed Stadium Pant is designed for breathability and freedom of movement, so junior athletes will stay more comfortable and drier on the field or at the gym. Featuring side pockets with zips for added convenience and leg zips to mid-thigh, this highly functional, all-purpose pant helps you cool down and change your footwear quickly, so you can easily transition from training to your post-training catch-up with mates. 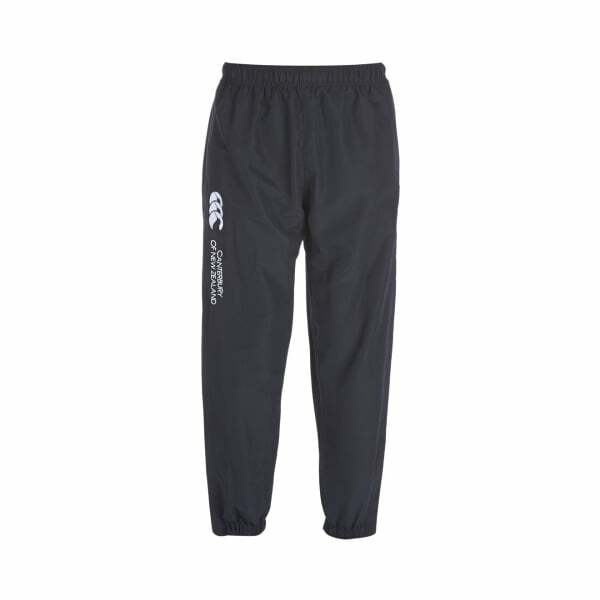 Complete with the iconic CCC Canterbury of New Zealand embroidery on the leg, this authentic and classic piece immediately places you amongst the large Canterbury community of fans and athletes.